Copyright: © 2016 Shimpi N. This is an open-access article distributed under the terms of the Creative Commons Attribution License, which permits unrestricted use, distribution, and reproduction in any medium, provided the original author and source are credited. Objective: Emerging evidence-based information supports incorporation of point-of-care screening of individuals at-risk for undiagnosed medical conditions in dental settings. In this study, dental provider’s knowledgeability, attitude and behavior regarding chairside medical screening was assessed across nine federally qualified health center (FQHC)-operationalized dental centers integrated into a large Midwestern US healthcare organization to establish receptivity among regional dental providers. Further, this pilot effort informed the study design and survey tool for conducting a larger statewide study. Methods: Knowledgeability surrounding point-of-care screening, was piloted via a multiple-choice survey targeting 100 regional FQHC dental providers (dentists and dental hygienists) utilizing SurveyMonkey®. The survey captured provider demographics, medical knowledgeability, attitudes, and current practice patterns with conduct of chairside medical screening. Chi-square analysis compared responses based on the respondent’s gender, year of graduation and clinical role. Results: A 26% response rate was achieved. The 26 responding dental providers reported screening for hypertension, diabetes mellitus, prediabetes, obesity, chronic kidney disease, human papilloma virus, hepatitis, human immunodeficiency virus and adverse events of chemotherapy and radiotherapy, with a frequency of 88%, 37%, 8%, 42%, 21%, 29%, 25%, 25% and 37% respectively. Willingness to incorporate chairside screening into clinical practice that yielded immediate results was indicated by 57% of respondents. The most important factors associated with engagement of medical screening included time investment (92%), patient willingness (88%), liability (84%), insurance coverage (56%) and cost (52%). Conclusions: Overall, this pilot study indicated that dental providers’ attitude relative to chairside screening for medical conditions was favorable. While respondents indicated willingness to collect oral fluids for salivary diagnostics and blood pressure and height/weight measurements, lack of willingness to utilize finger-stick approaches for assessing glycemic status was identified. A statewide study is currently being planned to establish a comprehensive understanding of barriers impeding adoption of chairside screening for medical conditions in a dental setting. While dental practice has historically been confined to delivery of oral and maxillofacial care, mounting scientific evidence supporting the interrelationships between oral and systemic diseases has launched a new era that casts dental professionals as central, proactive participants in establishing interprofessional collaborations [1,2]. The United States (U.S.) Surgeon General Report of 2000 highlighted the overall need for incorporating screening procedures for individuals and communities into dental practice, to establish relative risk for disease . The first step in disease prevention and control is the identification of subpopulation at risk for developing disease. These trends promote the need to redefine dental practice to include incorporation of medical screenings and risk assessment tools to undertake necessary preventive steps and tailor treatment options. Several studies have shown that a subset of patients see their dentists with higher frequency than other healthcare providers [4-6]. The Medical Expenditure Panel Survey, carried out by the U.S. Agency for Healthcare Research and Quality, reported that 19.5 million people in the U.S. who visited dentists did not visit a general healthcare provider . The study further highlighted that approximately 93% of individuals who exclusively sought dental care, carried some health insurance benefit to support follow up on referrals to other healthcare providers . 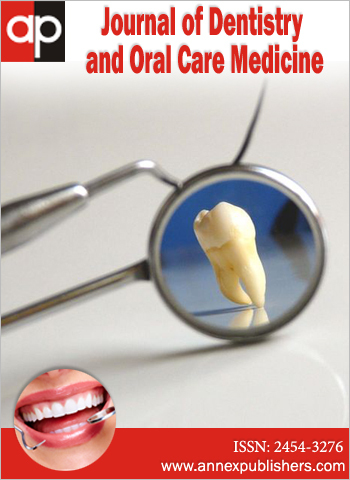 For example, diseases including but not limited to diabetes, heart diseases, chronic kidney diseases (CKD), human immunodeficiency virus (HIV)-related disease, human papilloma virus (HPV), can have oral manifestations including periodontitis, gingivitis, salivary dysfunction, dental caries, tooth loss, oral ulcers among others, emphasizing a key role for dental providers in conducting risk assessment for presence of medical conditions [7-11]. Other studies have suggested a role for dental providers in the collection of detailed medical histories as well as the engagement of chairside screening to establish presence of conditions including hypertension, hypotension and dysglycemia [12,13]. Several historical studies that assessed dentists’ attitude and receptivity to chairside medical screening in the dental office reported perception of some barriers [13-15]. Notably, a large national survey of U.S. general dental practitioners administered by mail, which enrolled 1,945 respondents, showed that dentists generally considered medical screening important and were willing to incorporate it into their practices. However, a need for additional educational and practical implementation strategies was identified to surmount perceived barriers. Founded in 1916, Marshfield Clinic is one of the largest comprehensive health systems in the U.S. This multispecialty group practice employs >700 physicians, >100 dentists, dental hygienists, dental technicians and >7,600+ employees, to accomplish healthcare delivery and additionally engages in research and medical education at 57 Centers across its Wisconsin service area. Family Health Center of Marshfield, Inc. (FHC), an affiliated member of Marshfield Clinic and a federally qualified health center (FQHC), has been serving low-income, underinsured and uninsured individuals since March 1974. FHC has been providing onsite dental services since the fall of 2002 throughout largely rural central, western and northern region of Wisconsin. Currently, FHC operates ten dental centers which have provided care annually to >50,000 unique patients seeking services from every county throughout Wisconsin. To inform an ongoing initiative involving medical-dental care delivery integration at Marshfield Clinic Health System (MCHS), the objective of this pilot study was to measure the baseline, attitude and practice behavior of dental providers towards assessing their willingness to screen for medical conditions chairside. This survey was undertaken as a pilot effort to support feasibility of the statewide study. A survey tool, comprised of 21 questions was developed by the study team and arranged in subsections to assess demographics, knowledge, attitude and practice behaviors of dental professionals, with a specific focus on chairside screening of medical conditions by dental providers. Both current practice and likelihood of future incorporation of medical screening into practice by respondents was assessed. Content validity analysis of the survey was performed prior to the use by study team members with appropriate expertise. The survey tool was beta tested by eight experts in the fields of dentistry, medicine, education and statistics, prior to dissemination. The survey was distributed via SurveyMonkey® to 100 dental providers including dentists and dental hygienists from the nine dental centers operationalized by FHC. A three-week timeframe was allotted for return of the completed survey. Reminders were sent to the recipients at end of week one and two to encourage participants to complete the survey. Demographic questions included capture of age, gender, current role, and year of graduation from dental-related professional school, name of dental-related professional school and total years of professional experience. Response options to questions assessing attitude towards conducting medical screenings chairside were formatted using a 5-point Likert scale - where 1= very important/ very willing, 2= somewhat important/somewhat willing, 3= not sure, 4= somewhat unimportant/somewhat unwilling and 5= very unimportant/very unwilling. For purposes of broadly evaluating responses to some questions that captured frequency of an activity, (e.g. ‘very frequently’, ‘frequently’, ‘occasionally’, ‘rarely’ and ‘never’) responses were grouped into two sub-categories reflecting positive or negative engagement of the activity where ‘frequently’ captured respondents who had selected ‘very frequently’ or ‘frequently’ and ‘infrequently’ captured respondents who had selected ‘occasionally’, ‘rarely’ or ‘ never’. Three categories were also created that more broadly dichotomized ‘willingness’ (to include respondents who selected ‘very willing’ or ‘somewhat willing’), and ‘unwillingness’ (to include respondents who selected ‘somewhat unwilling’ or ‘very unwilling’) or ‘not sure’. The nine conditions surveyed included hypertension, diabetes mellitus, prediabetes, obesity, CKD, HPV, hepatitis, HIV and adverse effects of radiotherapy and chemotherapy. Other factors included comprised of time, cost, insurance coverage, patient willingness and liability. Responses to dental practice behavior questions were formatted with yes/no options to gauge preferences regarding assessment of medical conditions engaging: 1) screening chairside and 2) patient referral to an appropriate medical provider. Chi-square test was performed to compare the difference in responses (percentages) based on the respondent’s gender, year of graduation - stratified into two tiers: (1983 to 2000 and 2001 to 2013) and years in practice (≤10 years vs >10 years). Practice behavior captured current practice with respect to chairside screening for medical conditions, including: diabetes mellitus, prediabetes, obesity, hypertension, CKD, HPV, hepatitis, HIV and adverse effects of chemotherapy/radiotherapy on the oral cavity; and informational resources utilized to keep current concerning oral and systemic health-related issues. The survey further included seven knowledge-based questions related to oral-systemic conditions. All data analyses were carried out using SAS Version 9.3, English. The study did not include any incentives for the survey participants. The research protocol and the survey instrument were determined to meet exemption criteria from ongoing Institutional Review Board (IRB) oversight following review by the Marshfield Clinic Research Foundation’s IRB. A total of 26 dental providers responded to the survey, for a response rate of 26%. Among those who responded, 54% (14/26) were dentists and 46% (12/26) were dental hygienists. Not all of the respondents responded to all of the questions. With respect to gender, 42% were male and 58% were female (p-value = 0.4328). The mean age of the respondents was 37.1 years, with a standard deviation of 9.3 years, and the mean total years of professional practice/experience was 10.5 years, with a standard deviation of 8.9 years. Attendance at Midwestern U.S dental-related schools was reported by 73% of respondents. Approximately 96% (25/26) of the respondents kept themselves updated about oral and systemic health by attending continuing education programs. Additionally, 50% (13/26) of respondents reported use of scientific journals and books, while 31% (8/26) and 15% (4/26) reported utilizing media/news and scientific journals, respectively, for keeping updated about oral-systemic health. Respondents reported providing patients with educational material on systemic health issues related to oral disease with the following frequency: 31% (8/26) ‘frequent’ and 69% (18/26) ‘infrequent’. Figure 1 shows the percentage distribution of responses with respect to training received while attending dental-related professional schools, in addressing and managing medically compromised patients within their dental practice. Among respondents, 19% ‘frequently’ and 81% ‘infrequently’ referred a patient to a medical provider for prediabetes assessment; while 16% (3/19) frequently and 84% ‘infrequently’ referred patients to medical providers for diabetes mellitus assessment, respectively. Frequency rate of referrals for hypertension reported by respondents included: 42% ‘frequently’ and 58% ‘infrequently’. For respondents who graduated between 1983 and 2000, referral patterns for hypertension were: 11% (1/9) ‘frequently’ and 89% (8/9) ‘infrequently’. By comparison, referral patterns for hypertension by respondents who graduated between 2001 and 2013 were: 60% (9/15) ‘frequent’ and 40% (6/15) ‘infrequent’. The percentage referral to medical providers for conditions other than hypertension was: 43% for obesity, 63% for CKD, 58% for HPV, 63% for hepatitis, 78% for HIV and 37% for adverse effects of chemotherapy and radiotherapy. Table 1 summarizes the percentage distribution of responses by the dental providers with respect to chairside screening for medical conditions. Symptoms of uncontrolled diabetes were correctly identified by 79% (11/14) of dentists and 92% (11/12) of dental hygienists. The correct response to ‘dental procedure not requiring prophylaxis’ was identified by 93% (13/14) of dentists and 91% (10/11) of dental hygienists. The range of blood levels of HbA1C associated with prediabetes was correctly identified by 50% (7/14) dentists and 19.1% (1/11) dental hygienists. The question related to manifestation of HPV in oral cavity was answered correctly by 64% (9/14) of dentists and 20% (2/10) of dental hygienists. The question relating to oral hairy leukoplakia manifestation was answered correctly by 79% (11/14) dentists and 75% (9/12) dental hygienists. Twenty-five percent (6/24) of respondents indicated that they frequently screened for hepatitis while 75% (18/24) respondents reported an infrequent screening for hepatitis. Figure 2 summarizes data on the willingness of the dental providers to incorporate chairside screening for salivary diagnostics, glucose levels, blood pressure and height and weight for derivation of body mass index (BMI). Table 2 illustrates ranking by respondents, stratified by years of experiences, regarding relative impact of specific factors (time, cost, insurance coverage, patient willingness and liability) regarding incorporation of medical screening into their practice. When stratified by gender, 92% (13/14) of female and 36% (4/11) of male respondents indicated that it is very important to conduct chair side screening for patients undergoing chemotherapy/ radiotherapy. Approximately 69% (9/13) of female respondents indicated that they performed chairside diabetes mellitus (DM) screening ‘very frequently’ or ‘frequently’ while none of the male respondents engaged chairside screening for DM. When female respondents were asked if they were willing to gather finger-stick blood samples for glucose levels as a part their practice, responses included: 57% ( 8/14) willing, 29% (4/14) ‘not sure’ and 14% (2/14) ‘unwilling’. By comparison, male respondents indicated their willingness for chairside glucose screening as follows: 10% (1/10) ‘very willing’, 70% (7/10) ‘somewhat willing,’ 10% (1/10) ‘not sure, 10% (1/10) ‘somewhat willing’. The present study evaluated knowledge, attitudes and willingness to engage chairside screening for medical conditions by dental providers in a large regional healthcare system by employing survey methodology. Compared to the 25.9% (1945/7500) response rate achieved in the national survey sample , basic characteristics of responses for this study sample were similar to those of the full national survey sample despite the lower response rate of participants in this pilot study (26/100) and the fact that it was conducted in rural dental clinics areas as opposed to the national survey. For example, the majority of dental providers thought that it was valuable to conduct chair side screenings for medical conditions in dental settings. Additionally, 88% (22/25) respondents of pilot survey while 85.8% (1669/1945) of the national survey concurred that screening for hypertension was more frequently done than all other conditions specified. A significant difference (p value = 0.0458) between dental providers practicing more than 10 years and less than 10 years was seen in referral of patients to medical providers for hypertension, with higher frequency reported by dental providers who practiced less than 10 years. Since education related to clinical practice has not changed appreciably in the last 10 years, differences are likely attributable to changes in current clinical practice settings which reflect a shift towards more integrated care. Results supported that the majority of respondents were more willing to conduct chairside screening that was non-invasive. Less than one third of respondents indicated that they were ‘very willing’ to gather finger-stick blood samples. Collectively, respondents indicated that adopting this practice may be a potential barrier to incorporation of chairside glycemic monitoring into clinical practice. Difficulty in obtaining an appropriate sized drop of blood from a finger prick to perform the screen may be an underlying concern for adoption of chairside glucose screening . However, one of the studies conducted suggested that the vast majority of oral healthcare providers considered glucose testing as beneficial and easy after becoming familiar with the process . Finger-sticks can be uncomfortable and often times may require repetition to obtain sufficient sample and may also make patients likely to consent to the screening. An alternative to finger-stick blood collection that achieved comparable outcomes involves collection of gingival crevicular blood, collected during bleeding on probing assessment during oral screening of diabetic patients. This method is also less disruptive to clinical workflow procedures than incorporation of finger-stick testing . Non-invasive predictive screening methods for evaluating dysglycemia are being explored. Approaches involve modeling of risk stratification based on characterization of specific dental phenotypes and/or presence of other risk factors. However, relative reliability and sensitivity of these approaches remains to be established especially across different racial and ethnic populations which exhibit variability with respect to risk for DM . A non-invasive skin fluorescence spectroscopy approach which reports comparable performance to HbA1c and fasting glucose testing has been developed and is currently being evaluated by the Food and Drug Administration . Adaptability as a screening tool in clinical practice remains to be explored. Across the spectrum of medical conditions that could be screened by dentists and dental hygienists, hypertension was screened with the highest frequency, with 92% dentists and 83% dental hygienists reporting screening ‘very frequently’ and ‘frequently’. Irrespective of years in practice, high importance was placed on referring patients with hypertension and diabetes to the medical providers although rates were somewhat lower for practitioners who reported being in practice <10 years (93% and 87%, respectively) compared to 100% for both parameters reported by providers in practice >10 years. As compared to the dental providers having professional practice less than 10 years, the dental providers who practiced more than 10 years referred the patients more frequently for the medical conditions. Overall, these results suggest a need for increased awareness of the connectivity between oral and systemic diseases as well as increased emphasis on interprofessional education, and further emphasize a need for more effective integrated care models between the medical and dental professionals with the ultimate goal of achieving holistic patient care. Based on current level of evidence supporting association between smoking, cardiovascular disease and oral disease, the study team plans to incorporate smoking and cardiovascular disease screening into the scope of criteria that will be captured by the survey during its planned future statewide dissemination. According to Centers for Disease Control and Prevention (CDC) 2014 report, 27.8% of the U.S. population has undiagnosed diabetes . While the report of 2011, CDC statistics shows that about 30% of American adults have prehypertension . According to projections by the American Dental Association (ADA), screening for medical conditions such as diabetes and hypertension in dental office could result in annual cost savings to health care systems of up to $102.6 million . These projections support a role for dental providers as part of the interdisciplinary care team to promote prevention and early diagnosis of diseases and further avoidance of complications associated with these diseases. This study had some limitations. While the response rate was comparable to that of the previously published national survey , the original sample size was much smaller and limited to survey of practitioners from only one medical center with an existing FHC dental infrastructure and thus generalizability of findings from this pilot study are limited. However, these dental providers were trained at various dental-related schools. The information provided by the respondents was self-reported and hence our ability to validate some of the findings is limited. Data were collected from both dentists and dental hygienists. The knowledge, attitude and perception may be quite different between the two groups based on training and clinical experience. The study team plans to conduct future environmental scans to expand the understanding of knowledgeability, attitude and willingness of dental providers to participate in medical condition screening. Overall, a positive attitude was observed towards incorporating medical screening chairside within this healthcare system. Our findings also suggest that incorporating chairside medical screening may lead to the introduction of alternative best practice concepts relative to health screening inclusive of opportunities for dental providers to screen for systemic diseases, while potentially increasing the quality of care and lowering healthcare costs. The baseline data in this pilot study has helped to set a stage for extending examination of dental care providers’ knowledgeability, attitude and practice behaviors to other practice settings statewide and at the national level in the future to determine whether regional variability exists. This study was partially funded by DentaQuest Foundation, Delta Dental of Wisconsin and Marshfield Clinic Research Foundation. The authors thank Cathy Schneider from the Biomedical Informatics Research Center for her assistance with formatting the survey tool and preparation of the data sets for analysis. The authors would also like to thank Barbara Bartkowiak, Marshfield Clinic medical reference librarian, for assistance with reviewing and formatting of the references. 1 Bridges DR, Davidson RA, Odegard PS, Maki IV, Tomkowiak J (2011) Interprofessional collaboration: three best practice models of interprofessional education. Med Educ Online 16: 6035. 2 Kalenderian E, Taichman RS, Skoula A, Nadershahi N, Victoroff KZ (2013) Developing the next generation of leaders in oral health. J Dent Educ 77: 1508-14. 3 U.S. Department of Health and Human Services (2000) Oral health in America: a report of the surgeon general. National Institute of Health, National Institute of Dental and Craniofacial Research, Rockville, MD. 4 Gibbon DB, Swann B, Donoff RB, Hetzman-Miller R (2013) Dentists as oral physicians: the overlooked primary health care resource. J Prim Prev 34: 279-91. 5 Elangovan S, Hertzman-Miller R, Karimbux N, Giddon D (2014) A framework for physician-dentist collaboration in diabetes and periodontitis. Clin Diabetes 32: 188-92. 6 Strauss SM, Alfano MC, Shelley D, Fulmer T (2008) Identifying unaddressed systemic health conditions at dental visits: patients who visited dental practices but not general health care providers in 2008. Am J Public Health 102: 253-55. 7 Ship JA (2003) Diabetes and oral health: an overview. J Am Dent Assoc 134: 4S-10S. 8 DeStefano F, Anda RF, Kahn HS, Williamson DF, Russell CM (1993) Dental disease and risk of coronary heart disease and mortality. BMJ 306: 688- 91. 9 Akar H, Akar GC, Carrero JJ, Stevinkel P, Lindholm B (2011) Systemic consequences of poor oral health in chronic kidney disease patients. Clin J Am Soc Nephrol 6: 218-26. 10 Glick M, Muzyka BC, Lurie D, Salkin LM (1994) Oral manifestations associated with HIV-related disease as markers for immune suppression and AIDs. Oral Surg Oral Med Oral Pathol 77: 344-49. 11 Praetorius F (1997) HPV-associated diseases of oral mucosa. Clin Dermatol 15: 399-413. 12 Case study: bridging medical and dental care at Marshfield Clinic and the Family Health Center. National Academy for State Health Policy. Accessed on Aug 18th 2015. 13 Greenberg B, Glick M, Frantsve-Hawley J, Kantor M (2010) Dentists’ attitude toward chairside screening for medical conditions. J Am Dent Assoc 141: 52-62. 14 Nasseh K, Greenberg B, Vujicic M, Glick M (2014) The effect of chairside chronic disease screenings by oral health professionals on health care costs. Am J Public Health 104: 744-50. 15 Anders P, Davis E, McCall WD (2014) Dental students’ attitudes towards diabetes counseling, monitoring and screening. J Dent Educ 78: 763-69. 16 Fineberg SE, Bergenstal RM, Bernstein RM, Laffel LM, Schwartz SL (2001) Use of an automated device for alternative site blood glucose monitoring. Diabetes Care 24: 1217-20. 17 Barasch A, Safford MM, Qvist V, Palmore R, Gesko D, et al. (2012) Random blood glucose testing in dental practice: a community-based feasibility study from The Dental Practice-Based Research Network. J Am Dent Assoc 143: 262-9. 18 Parker RC, Rapley JW, Isley W, Spencer P, Killoy WJ (1993) Gingival crevicular blood for assessment of blood glucose in diabetes patients. J Periodontol 64: 666-72. 19 Collins GS, Mallet S, Omar O, Yu L-M (2011) Developing risk prediction models for type 2 diabetes: a systematic review of methodology and reporting. BMC Med 9: 103. 20 Olson BP, Matter NI, Ediger MN, Hull EL, Maynard JD (2013) Non invasive skin fluorescence spectroscopy is comparable to hemoglobin A1c and fasting glucose for detection of abnormal glucose tolerance. J Diabetes Sci Technol 7: 990-1000. 21 Centers for Disease Control and Prevention (2014) 2014 National diabetes statistics report. 22 Centers for Disease Control and Prevention (2011) High blood pressure fact sheet. 23 American Dental Association (2014) Chairside medical screenings could save $102 million a year.